Every day in the United States, thousands of American drivers and passengers are killed and others suffer catastrophic injuries as a result of weak vehicle roofs that collapse during rollover accidents. 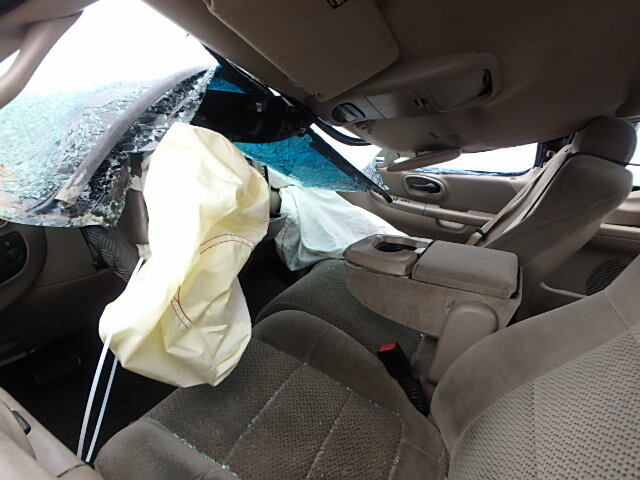 In many of these rollover accidents, the roof collapses into the safety zone of the interior of the vehicle. When this happens, the occupants that come in contact with the intruding roof usually suffer lower-cervical neck fractures (C4, C5 or C6), brain contusions, closed head injuries and even death. In investigating a rollover accident with severe roof crush, it is critically important to determine what part of the vehicle caused the injury. One must determine the point of contact from the intruding roof onto the head or neck and carefully determine where the “head print” occurred. In fact, the metal roof may even show a dimple mark or impact mark at point of contact. Roof crush injuries are caused by the stored energy in the rollover, transferring compressive forces pushing down on the top of skull when the head is in an upright position. This vertical compression can cause a bursting fracture in the C4 to C7 vertebra of the cervical spine. This bursting fracture can cause a massive loss of intravertebral space both anterior and posterior to those vertebra. In cases in which the occupant’s seatbelt doesn’t properly hold them tight against the seat, the occupant strikes the roof or “dives” into the roof, resulting in the head flexing forward before receiving an impact to the top of the head. This causes the bone in cervical vertebrae to fracture, NOT BURST. The posterior corner of the vertebrae then impinges or impacts directly against the spinal cord resulting in loss of anterior vertebrae body height. Diving type injuries can happen to belted occupants, who for many reasons become unbelted or unrestrained during a rollover. This unbolting can happen by inertia release of the buckle, false latching of the buckle, cam-out of the webbing in the retractor, zip-lock of the locking device, or accident release of the seat buckle button. Diving fractures can also occur as a result of a seat back failure in which the weak seat back frame bends or breaks at the seat back hinge. When this occurs the “once belted” occupant can be tossed around like a rag doll or launched head first into the backseat or strike the rear roof support. 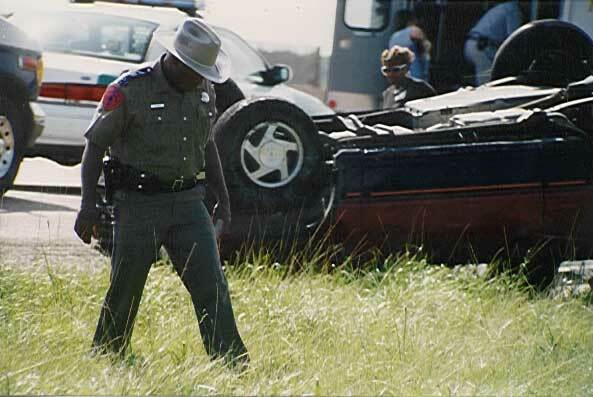 Many times persons in serious accidents are later convinced or “brow-beat” by police or other law enforcement that at some point prior to the rollover, that they were not properly restrained. However, in most roof crushes cases, a biomedical-engineer or biomechanical expert must be hired to study the medical records, physical injuries and the vehicle in which the injured person was an occupant. Only after a thorough vehicle inspection and a complete review of the medical records, can the body and head movements in a rollover determined and what parts impacted. Further in cases involving catastrophic injuries, all avenues must be explored and records studied to make sure that during the rollover the seat belt or buckle latch did not malfunction and open during the rollover. Again, hiring a rollover expert is essential to having any chance of winning a case against the big auto makers. With the growing numbers of sport utility vehicles (SUVs) and pickup trucks on the roads, so is the number of rollovers increasing as well. Rollovers are not of course confined to SUVs and trucks, as small subcompacts also have a high rollover rate as well. In fact, small cars are four (4) times more likely to be involved in a rollover and roof crush as full-sized luxury cars. The smaller the vehicles, usually the less deformation of the roof during a rollover due to the fact that the car is lighter and not as much weight and energy is being compressed on the roof pillars and supports. In fact, larger American vehicles and especially larger pick-up trucks cannot withstand a rollover without serious roof crush. According to Federal Motor Vehicle Safety Standard (FMVSS) 216, a roof pillar a passenger car must deform no more than five (5) inches when subjected to a force of 1 1/2 times the vehicle’s weight, or 5,000 lbs. whichever is less. Pickup trucks (light trucks) are not even required to meet the minimal requirement of FMVSS 216. For example, the roof pillars of a 6,000 lb. 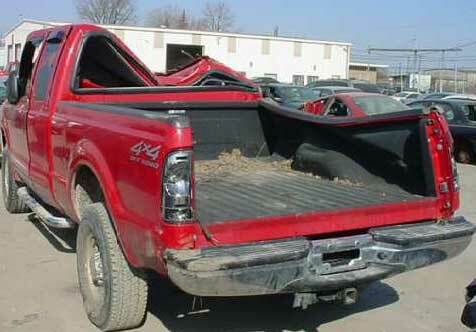 pickup truck would need to withstand only 5/6 of the vehicles own weight in order to pass FMV’s 216, even though the trucks roof often crushes under its own weight. This “standard” only applies to the front roof supports/pillars not the center or rears ones (if any). This weak roof crush test when applied to the extremely big pickup trucks like the Ford F250 and Ford F350 shows the inadequacy due the extreme weights that these trucks possess. In fact, a F250 Heavy Duty Pickup or a Ford F-350 Truck with dual wheels can exceed 10,000 lbs, over twice the weight that the FMVSS 216 requires. As a result the bigger ½ ton, ¾ ton and 1 ton pickups in a rollover, fail miserably in offering roof supports and safety to the occupants. This same dangerous weight to roof strength ratio is also evident in the Chevrolet and GMC pickup trucks, Dodge, Toyota and Nissan. Roofs crush is a result of an energy which by the law of physics exists in any accident or rollover. This assault or over compression of the roof supports due to their design and structural weakness fail to support the forces. This is caused when the vehicle is inverted and begins its downward path of the vehicle and its center of gravity into the roadway or the ground. At that moment the roof pillars start to crush under this energy assault to its structure. To the untrained observer, roof pillars of most vehicles appear solid and sturdy, especially strong enough to withstand a roof crush in a rollover. The surprise come through when one looks at a cross-section of the pillar. Inside a roof pillar is empty space that is nothing more than folded/molded corrugated sheet metal, being hollow inside. Therefore, when impact occurs the metal folds over into the empty inner space allowing more folding or crushing to continue. This same concept can been seen with a plastic soda straw, easy to bend. But if the straw or “pillar” were instead filled with a simple cardboard insert or sprayed with a high density foam or a honey combed structure inserted, then roof crush is at a minimal, thus saving lives!! 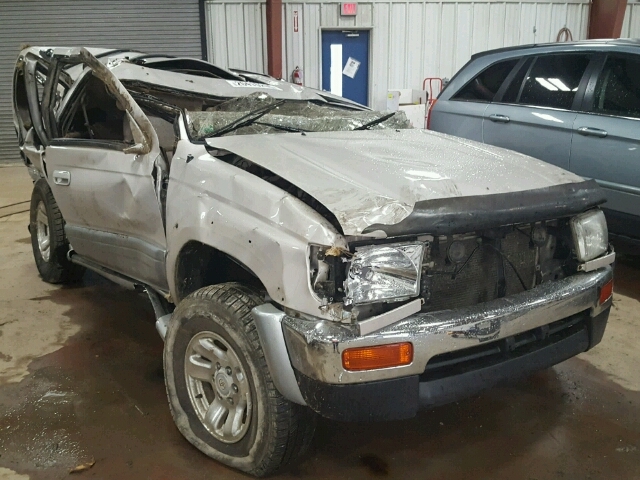 An automotive engineer, Don Huelke, used by many of the automakers in their defense of roof crush cases, stated that (severity of all injuries increases with roof crush). The amount of roof crush is directly attributed to the severity of the non-ejected occupant’s injuries to occupants in 266 accidents that he studied, in which the injuries ranged from just minor cuts to quadriplegia and death. Although stronger roofs prevent injuries it also keeps more occupants in an upright position during a rollover, subjecting them to more head injury due to the inability the occupant to bend as the roof collapses on to them. Another area of massive injuries in a rollover involves ejection from the vehicle. Most automotive engineers agree rollover injuries can be reduced dramatically if the occupants stay inside the rolling vehicle instead of being ejected. In fact, one has a five times greater chance of being killed or seriously injured if thrown from the vehicle. One way to accomplish this is to engineer door latches to remain locked and windows and windshields with a laminated plastic inside to help retain the occupant. In the last 10 years, side curtain airbags, an additional safety feature has been become standard in almost all vehicles. This life saving device, when it works correctly, not only helps to reduce head injuries, but also in effect can assist in keeping an occupant form being ejected. Hiring the right lawyer with the experience to orchestrate the entire case from start to finish including building the needed legal team along with the necessary rollover and defect experts to prove the case in a court of law. Locating the vehicle, tires and all evidence and getting it transported and secured in a locked facility as soon as possible. Getting an accident site inspection as soon after the accident as possible. Having an experienced accident investigator take accurate and complete statements of all occupants, law enforcers, EMS personal and witnesses. Having an Accident Reconstruction Engineer or rollover expert to determine how the accident occurred. Having Biomedical or Biomechanical experts, if necessary, to determine what part of vehicle caused the plaintiffs injuries. Interview the plaintiffs treating medical physicians and obtain copies of all medical records from the initial ambulance or life flight until present. In catastrophic injuries, the resulting in paraplegia, quadriplegia, or serious closed head injuries, hiring a life care plan consultant to evaluate the cost of medical care to the seriously injured plaintiff and estimate ALL medical and life care needs over this person’s lifetime. Consult with an experienced Product liability attorney that has years of rollover experience and rollover engineers and experts ready to assist. If you or a member of your family has been involved in any type of rollover accident, whether it involved a passenger car, van, SUV or truck, then you may have legal rights in a court of law to file a products liability lawsuit, if any part of the vehicle or any component part is determined to be defective. Other negligence cases for faulty repair, failure to warn or for selling a dangerous vehicle, may be filed against a prior auto dealer, tire shop, or repair shop, inspection station or others if their negligent act or omission contributed to the rollover accident or your injuries. Get a free case review by Mr. Willis, a Board Certified Personal Injury Attorney with over 33 years of product liability and rollover litigation experience call 1-800-883-9858 for a Free & Confidential Consultation or Click Here.